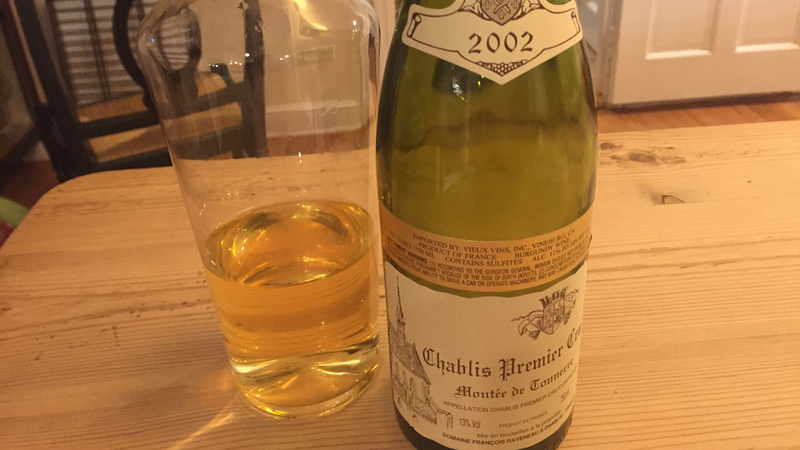 Raveneau’s 2002 Chablis Montée de Tonnerre is gorgeous. Rich, oily and beautifully textured on the palate, the 2002 shows all the depth that is typical of the year. Apricot, tangerine, chamomile and lightly honeyed notes are some of the signatures in a Montée de Tonnerre that lies on the riper end of the flavor spectrum. Subtler, minerally notes develop with time in the decanter, but remain in the background. Although the 2002 still carries quite a bit of palate density and overall weight, the aromas and flavors are close to fully mature. I would prefer to drink any remaining bottles sooner rather than later. 93/Drink 2017-2022.